Like most babies, Esmé (my daughter) has a 'lovey'. 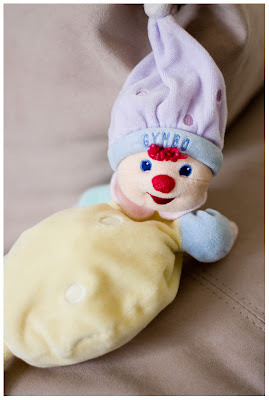 It's a little soft baby clown that was purchased at Gymboree and given to her as a gift. She's not parted with it since. Quickly realizing her attachment, my husband and I set out to buy another as a backup. 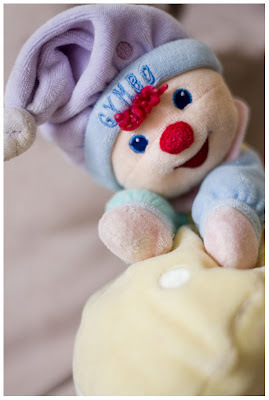 We knew it wasn't going to be easy when we found out that they had stopped making Gymbo! We couldn't find him in any of their stores. My husband decided to try eBay and we found another Gymbo in perfect condition for $1. Esmé does not know that the double exists, but he's ready whenever something unfortunate happens to Gymbo #1.